Singapore is a really hot and humid country and dust gathers up quickly on all your furniture windows and floor. Thorough professional cleaning is required to keep up with the conditions and maintain a clean house. 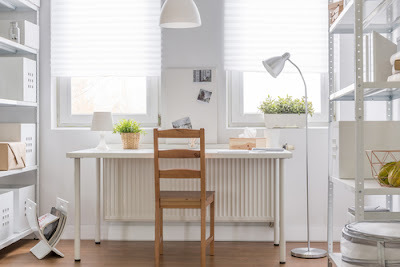 Whether your blinds style is of fabric, wooden or vertical types they all become dusty and if forgotten you eventually end up with something filthy as the dust becomes exposed to the sun and hardens up turning something of a hassle to take care of. Here are some common tips to help you take care of that blind sooner and get the correct amount of light in your room from those windows. Do it yourself and learn the process slowly so that after a couple of times you will be good with the procedures and you will be cleaning your blinds as often as you would like to. Turn the side that gathers the most dust to you. This is the side that is always facing up, the convex side. So turn this side to face you and not the window. The first step of the plan involves getting rid of as much dust residue as possible. Hung the blind well ensuring that there will not fall down during the cleaning exercise. You can always brush of the dust, vacuum the blinds or a combination of both methods which ensures that the blinds are cleaned thoroughly. With a dry duster such as one made from an ostrich feather start dusting. A good duster should be one that is able to reach inside the slates and flush out any gathered dust. An ostrich feather brush will penetrate the louvers and flush out dust thoroughly. You can always opt to vacuum the whole thing if the dirt is more and especially when dealing with a fabric blind. Just remember that vacuuming is done crosswise. It is convenient to always work from the top to the bottom by way of vertical strokes for any horizontal blind. For a vertical blind you are advised to brush from left to right. Always deal with the upper half first. These are efficient techniques that not only let the entire dust end up on the floor but also ensure you are not leaving dust on the side you are already done with. Additionally, by pushing dirt on the floor you leave your walls and windows dustless. for non-fabric blinds going manual by individually handling each blind you get the benefit of ensuring no dust is left behind. If you got time to do it you can clean them up manually with a cloth and some sprays, letting your fingers twist, tilt and clean the slats and tackle the sticky dust and any residue such as cigar stains. The cloth should be dipped in a mild detergent solution and well wrung to ensure you do not leave the blinds wet. Slip the cloth between the slats and pull it from the other side gently dragging dirt with it then rinse the microfiber cloth and repeat the procedure until each slat is dealt with. For fabric blinds you may want to wash them up after vacuuming and getting rid of as much dirt as possible. Reverse it to the other side and follow the same step to clean the concave side. Many folks forget to turn the blinds and clean the other side too, in as much as this might be a low dirt side, cleaning the concave side ensures you do not leave stains behind. Rinse the blinds thoroughly and even use running water when the blind type you are dealing with fits. Any extra water should be purged out of the slats by letting your fingers slip between the slats repeatedly and gently squeezing the water off. When your blind is in good condition it not only serve as a means for you to control the daylight and sunlight that shines into your room but also serve as attractive home accessories. 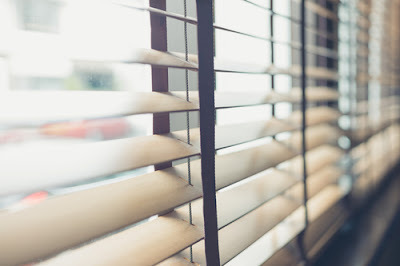 Cleaning up your blinds is not an overwhelming task at all if you follow correct professional instructions and making sure you are doing the right thing also once you get used to doing it, then you can make it a regular task which means your house always be neat . 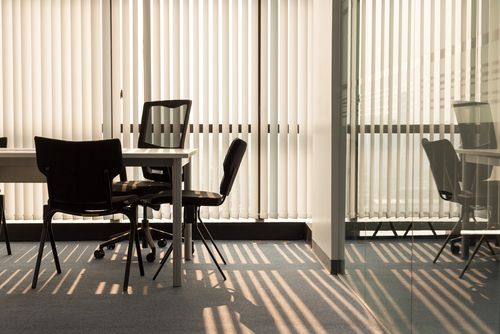 It is advisable to vacuum your blinds always on a routine basis to prevent dust from gathering up. Just remember that it never hurts to get professional help too, so if you got the gut feeling that you should consult a dry cleaners advice and perhaps services do it to avoid damaging your good home accessories or even harming yourself with chemicals. Cleaning a bind takes patience. Take your time and do some nice work.